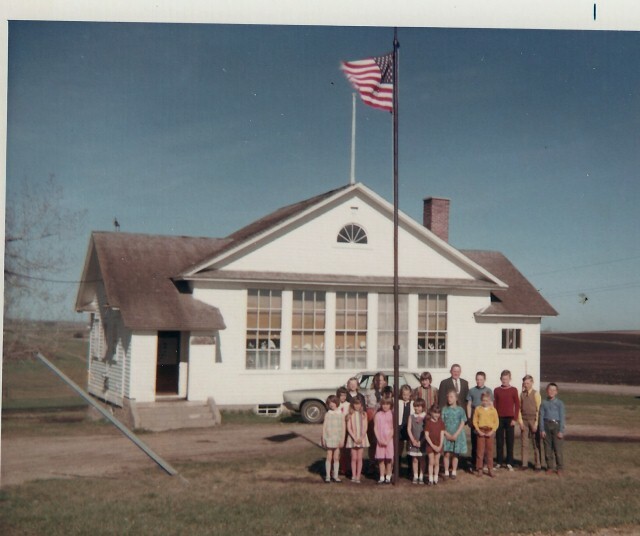 The school that first served this district was located on the quarter north of the present site, it then had to be moved to the center of the district or within one-half mile of it. The land was donated by Mr. Wilkey. In looking at some old records these are a few interesting facts: in 1909 the term was seven months, teacher Agnes McGill, twelve students, Clarence Oswald was a student. In 1911, there were eight months of school, teacher's salary was $42.50. In 1912 total ex- penses were $440.25, in 1915 $611.50. In February 1919 a warrant was written for $2000 to August Tunnison for the present building. Mr. Herman Oswald and O.A. 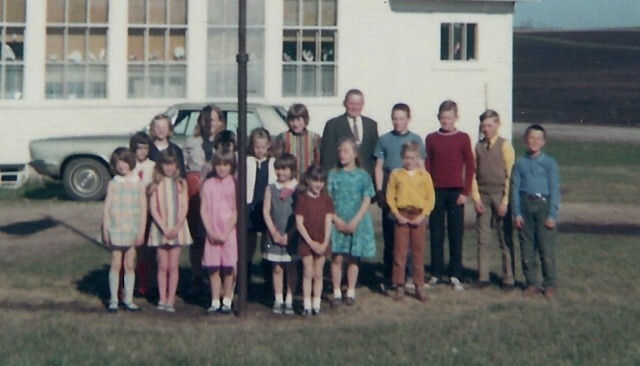 Almos were on the school board at that time. In 1922, Mrs. Birdie Artus was hired to bring order to the school which she did with the help of "the old birch rod", there were 35 students. Isabelle Oswald was a teacher at onetime, as was Mary Gordon, Ina Harkins 1896, and Marjorie Dennis. 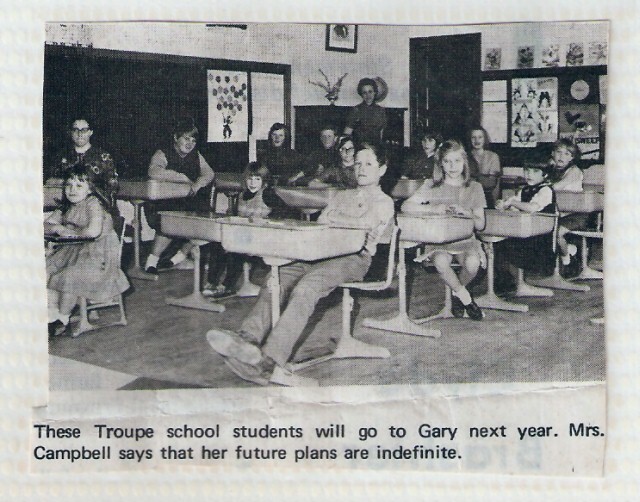 Here are some items of interest: flag pole cost $26; 1926 four new desks plus freight cost $21.27: tuition to Gary in 1936 was $9 for each student. Others who served on the school board were W.R. Schuttler, Mr. McLain, Lucy Snyder, Karl Oswald, Gene Piper, Aldon Almos, Royal Thompson, Iven Fairchild, and Marvin Meyen. 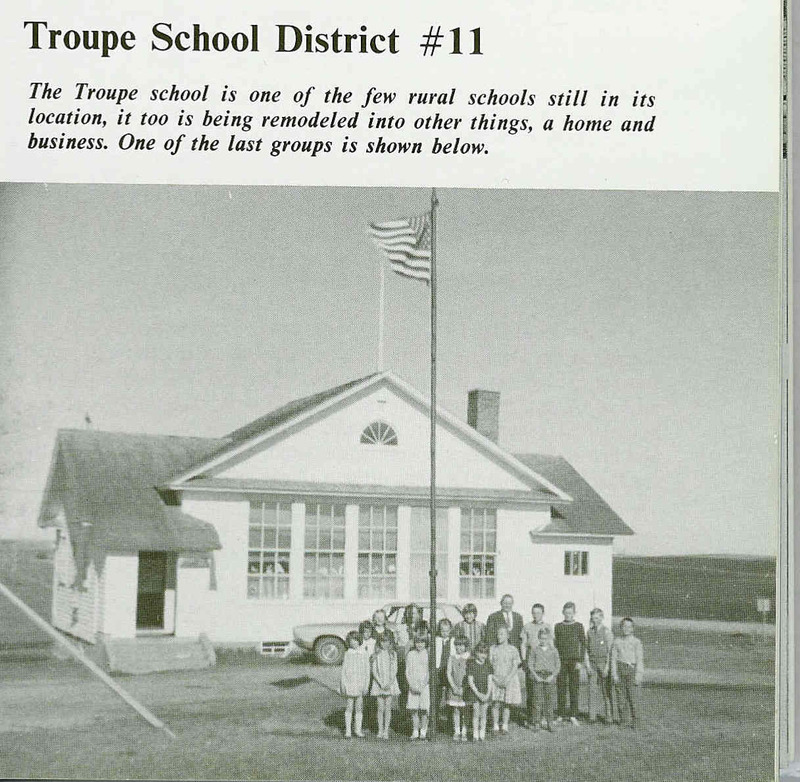 Troupe was the first school in the county to have electricity. 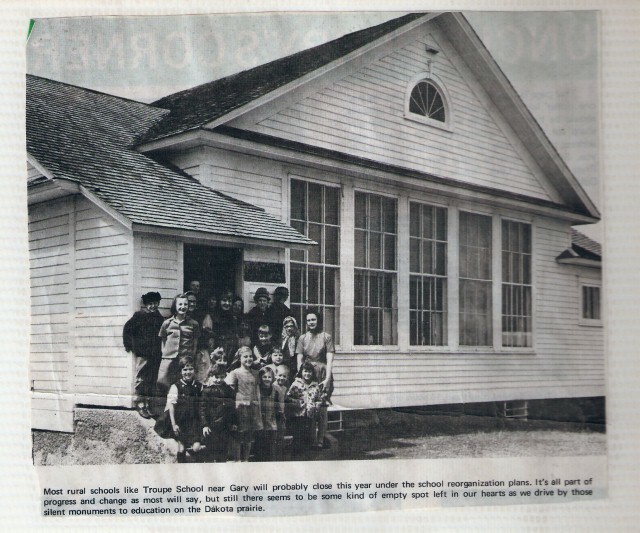 After having served the community long and well it was surrendered to county organization and merged with the Gary School system in 1970. It has been turned into a home and resort in 1977 and is known as "Stone Hill."